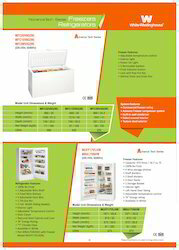 We have carved a niche for ourselves by offering a range of White Westinghouse Refrigeration System that comprises Side By Side Refrigerators, Stainless Refrigerators, Top Mount Refrigerators and Compact Refrigerators. These are known for excellent quality features and offered to our clients at industry leading prices. Available in user-friendly features, these ensure great performance and consume less electricity. We offer our range in different technical configurations to suit the specific requirement of our clients spread across the nation. 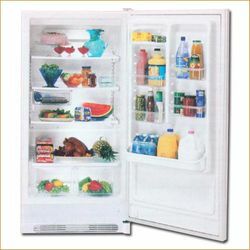 Looking for White Westinghouse Freezers ?